Celebrate the New Year with the hottest party of the year in Mohegan Sun’s Uncas Ballroom! Kicking off at 10:30pm, this party will be one to remember with dancing and music by DJ Crooked & DJ Neva from SKAM ARTIST, an open bar, champagne toast and 12:15am breakfast buffet. This is a 21 or older event; VIP bottle service seating areas available for purchase. Proper attire required and subject to management discretion. For VIP reservations, please call 860.862.4728. Countdown to the New Year with family and friends of all ages in The Shops at Mohegan Sun from 9:00pm to 2:00am on Monday, December 31st. The Shops come alive with music by DJae Mêlée, high – energy performances by The Jat Crew Dancers and a countdown to Midnight capped off by an incredible pyrotechnic display! Hats, horns and tiaras available at Summer and Winter Coat Check, Sky Valet and various other entrances starting at 5:00pm (limited quantities, available while supplies last, first – come, first – served). 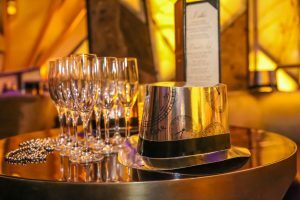 Up at VISTA Lounge at Wombi Rock, kick off your classy NYE party at 9:00pm with beats by DJ Joe Moore. Tickets start at $60.00 and are available through Ticketmaster and at the Mohegan Sun Box Office. The night of the event, tickets can be purchased for $100.00 at the door. Tickets include a champagne toast at Midnight. For VIP reservations, please call 860.862.4009. This party is for ages 21 or older and the dress code will be enforced. Dance the night away inside Avalon during a super – hot NYE party. From 9:00pm to 2:00am, DJ Tom Macari provides the music for the final celebration of 2018. Tickets start at $75.00 per person and increase to $100.00 per person based on availability. Tickets include a champagne toast at Midnight and are available to purchase through Ticketmaster and at the Mohegan Sun Box Office. For VIP reservations, please call 860.862.7042. This event is 21 or older; the dress code will be enforced. Bring in the New Year with Margaritaville for a Venue Closing Bash on New Year’s Eve that Jimmy would be proud of! 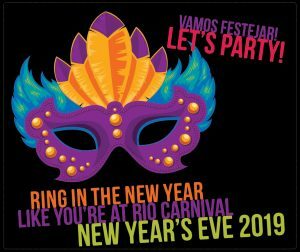 The party starts at 8:00pm and runs until 2:00am with drink specials, party favors, a margarita toast at Midnight and music by the band Explicit. No cover charge. The Lansdowne Irish Pub & Music House hosts an epic New Year’s Eve Party featuring music by The Pogs starting at 9:00pm. Tickets are $30.00 and include a party favor and a champagne toast at Midnight! Tickets are available through Ticketmaster and at the Mohegan Sun Box Office. For VIP tickets and table reservations, please call 860.862.7005. This is a 21or older event. Have some laughs at Comix Comedy Club when Jared Freid takes the stage for a special NYE event. Show times are 7:30pm and 10:00pm. $10.00 food and drink minimum. This is a 21 or older event. 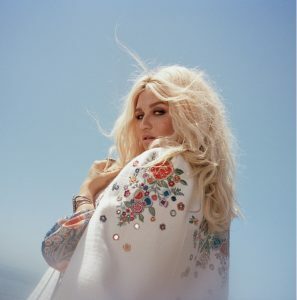 Kesha rings in the New Year at Mohegan Sun Arena with glitter and glam! The Pop star will be performing a very special New Year’s Eve concert on Monday, December 31st at 8:00pm. Tickets are $69.00, $59.00 and $49.00 and are available through Ticketmaster and at the Mohegan Sun Box Office. At the Wolf Den, Boogie Wonder Band performs free shows at 8:00pm and 11:00pm. Come early as seating is limited. All guests must be 21 or older.